THE FOOTBALL ASSOCIATION of Wales (FAW) has confirmed talks have been held over a possible joint bid to host the 2030 World Cup. England’s Football Association has already announced a feasibility study to examine the possibility of England bidding to be the host nation. But a ‘Home Nations’ bid, which would include Wales, Scotland and Northern Ireland, is on the table. FAW chief executive Jonathan Ford said no decision will be made over a possible bid until 2019 but Wales is keen to be part of a joint bid. “This is something that [has] come up in conversation and it is something we are looking into,” Ford told BBC Sport. “No more than that and there’s going to be no news until at least midway through 2019. “But there is going to be a little bit of a feasibility study to see whether or not a UK-wide bid, a Home Nations bid or similar, would be a powerful, strong bid. “Personally, I think it would be and I think, should we go forward at that stage – which, as I say, won’t be determined until well into 2019 – I think we’d have a very strong and compelling bid. Cardiff’s Principality Stadium, which has a capacity of 74,500, would be an obvious contender to host World Cup games in Wales. A joint Home Nations bid could also see matches take place at Glasgow’s Hampden Park and Edinburgh’s Murrayfield Stadium, along with Windsor Park in Belfast, although the latter would need its capacity increased significantly to meet the current 40,000-seat minimum for World Cup venues. Premier League grounds including Old Trafford, Anfield, Emirates Stadium and St James’ Park would be in the running, as well as Wembley. Disgraced former Fifa president Sepp Blatter previously backed a joint UK and Ireland bid to host the 2030 World Cup. 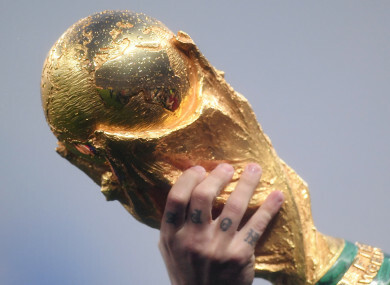 Argentina, Uruguay and Paraguay have announced a joint bid to hold the 2030 World Cup, which will mark 100 years since the first tournament. Email “Welsh FA hold talks over 'Home Nations' bid for 2030 World Cup”. Feedback on “Welsh FA hold talks over 'Home Nations' bid for 2030 World Cup”.